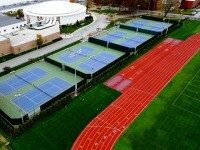 The Springfield College Appleton Tennis Courts project was built in combination with the Blake Track renovation. 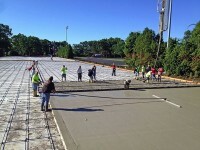 Both facilities were older and past their prime, and Cape and Island Tennis & Track was able to save the school significant dollars by building both facilities at the same time. 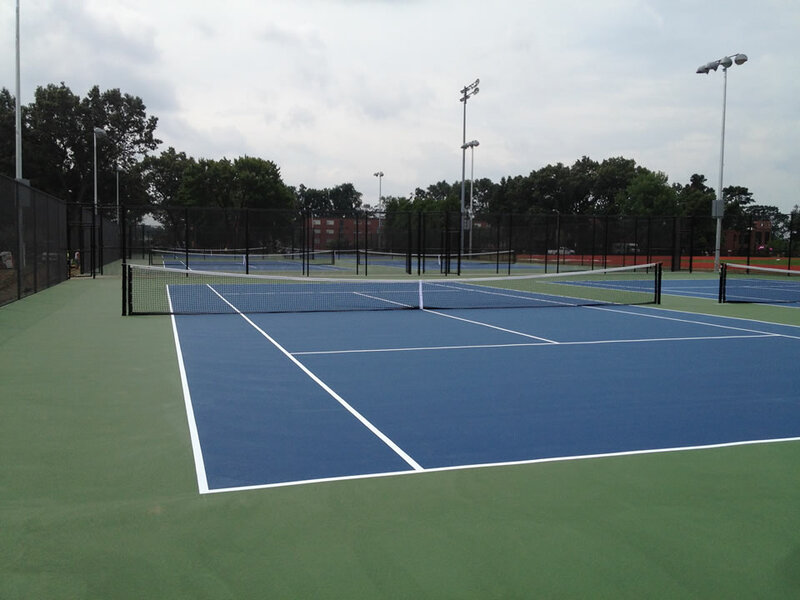 The courts were constructed with post-tensioned concrete, contain a coaches walk dividing the courts for better viewing, and are lit for night time play. 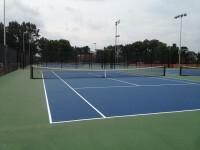 The result is that the courts have become the showcase facility in western New England. In 2012 the project was named the top Outdoor Tennis Facility in the United States by the American Sports Builders Association and in 2014 the Springfield College Pride hosted their first New England Women’s and Men’s Conference match on the new courts. 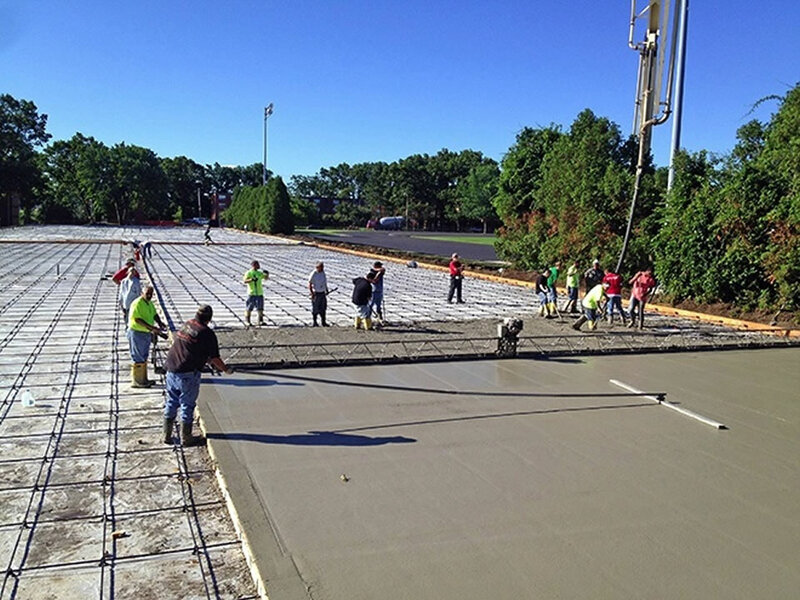 We wish the teams the best of luck this season and beyond.